The 10 Best Mexican Restaurants in Wisconsin! The world of tortillas, maragaritas, enchiladas and more, is bursting with flavor. To find that authentic Mexican restaurant experience complete with a genuine menu and atmosphere, Wisconsin has your back. Serving up traditional fare including stuffed burritos and endless hot tortillas, these 10 Mexican restaurants are the best in the state. Guanajuato is Milwaukee’s finest Mexican restaurant. They offer a laid-back Mexican joint serving large portions for reasonable prices. From nachos to quesadillas, to burritos—everything you’ll need for a tasty Mexican dinner. Laredo’s in Madison cooks 100 percent quality food with fresh ingredients. Enjoy their cheese and meat loaded enchiladas. Their stuffed burritos will leave you full and happy. If you’re on the picky side, they offer traditional tacos and soups and salads. You’ll find authentic Mexican cuisine in Waukesha, Wisconsin, at La Estacion. For over 20 years they have perfected their authentic Mexican menu. Bringing classics like tacos, enchiladas, and burritos. Get enticed by a delicious meal at La Estacion. If you’re looking for a laid-back restaurant to enjoy large portions and great Mexican fare—Botanas is the place to be. Their seafood options are loved by the locals but their ala carte options are perfect for the picky eaters of the family. A Madison favorite—Pedro’s is the perfect place to congregate with friends or family. Hot tortillas and endless chips and salsa will win your heart over. 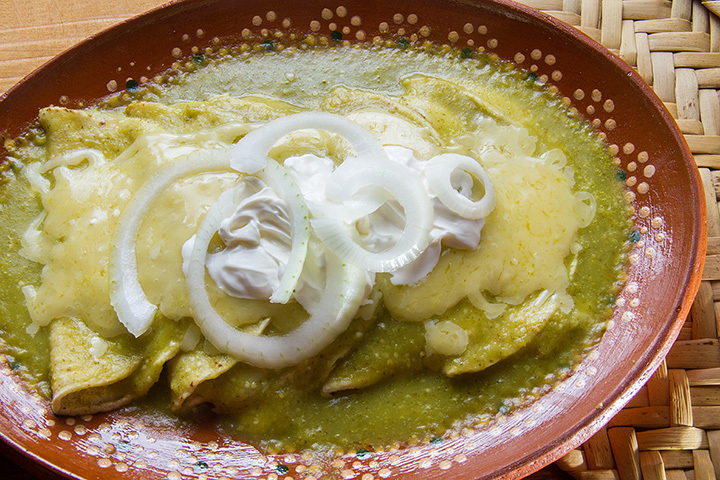 Try their tasty Mexican dishes and swallow it down with their famous margaritas. Jose’s offers tons of options for fajitas, burritos, enchiladas, tacos, and chimichangas. Make it a meal combination for added food! Try their sizzling steak options or veg out on their vegetarian combinations. They also have children’s meal options for the little ones. Great service and amazing food are what lies at El Senorial in Milwaukee. Endless chips and salsa calls for the perfect place to meet friends out. Their hearty portions and sides are well worth the price. Build your own tacos for a little more control. If you are a firm believer that tacos are the way to your heart—step inside Taco Burrito Mexico. It’s the perfect Mexican family restaurant and the food is nothing short of amazing. Taco Burrito’s charm and character will have you stop by every time you’re in Green Bay. El Mez is the perfect place for all things Mexican in the Northwoods. They have a lengthy menu including tacos, burritos, enchiladas, and a large drink menu to go along with it. Food is always prepared fresh daily and you’ll love the energetic atmosphere at El Mez. Sip on a large margarita while munching on freshly made chips and salsa. South of the Border saves up the best Mexican food in Oshkosh. Their cute restaurant with decorative tables and fun Mexican music will make you feel like you’re in the heart of everything spicy.